From traditional Christmas scenes to fun festive illustrations we stock a large selection of wholesale Christmas Cards to suit all your customers’ tastes. Help your customers say Merry Christmas to friends and family with our selection of hand picked wholesale Christmas Cards. Nothing says Christmas quite like receiving and sending a shed load of Christmas cards to friends and family, it’s tradition. 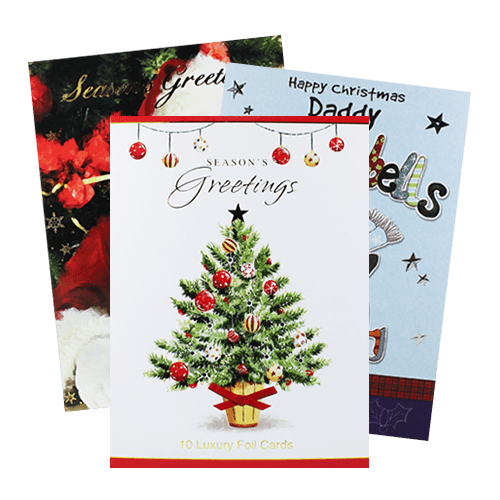 Whether you love them or hate them Christmas cards are customary throughout the festive period and here at Harrisons Direct we stock an extensive selection of wholesale Christmas cards in all styles. For the traditionalists we stock a selection of wholesale Christmas cards featuring classic Christmas scenes. The 12 Foiled Cards Religious 2 Assorted Designs, 12 Foiled Cards Tree & Wreath 2 Assorted Designs and 20 Luxury Slim Boxed Cards Front Door Scene 2 Designs all depict what Christmas is all about and provide a great way for your customers to spread the festive joy to friends and family! Those looking for something less serious will appreciate our selection of humorous wholesale Christmas cards. Designed with a modern twist 20 Mini Square Cards Humour CDU, Tom Smith Magical Santa Multi View Cards 4 Designs 18's and Photographic Puppies Square Cards 140mm x 140mm 2 Designs 12's wholesale Christmas cards are highly unique and incredibly fun. 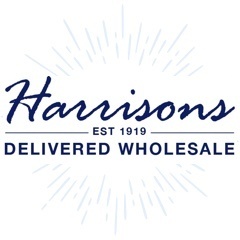 It now pays to buy your wholesale Christmas cards from us here at Harrisons Direct with our brand new Harrison’s Rewards. For every purchase you make online you’ll earn reward points, which can be redeemed against future orders to get money off! Why buy wholesale Christmas cards from Harrisons Direct? With almost 100 years experience in the wholesale industry we understand the importance of a timely and reliable delivery service to all our customers especially during the festive period, which is why we use a courier with a 98% success rate in achieving next day delivery. Ensuring you don’t miss your delivery our couriers use state of the art technology to notify you with a one-hour window. Can’t find what you’re looking for or have a question you’d like answering? Feel free to call our friendly customer care team on 01254 306840 for assistance, we’re always happy to help.